100% natural. Triple toasted, never fried. Refined sugar? No way!. Gluten-free? Of course!. Vegan-friendly? 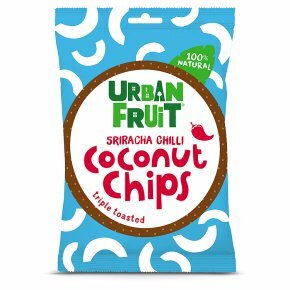 Absolutely!.Welcome to Paradise Our crunchy coconut chips are all natural, never fried and full of fibre to give you that healthy island glow! Naked but for a sprinkle of coconut nectar and a kick of Sriracha chilli.